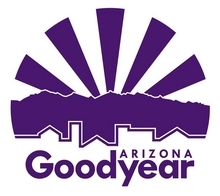 Come on out to Goodyear BMX in Goodyear, AZ on Saturday, April 7th for a FREE Open House, especially for new families, to learn about and experience the sport of BMX Racing, in a non-intimidating environment. The event runs from 6:00pm-8:00pm. The Gooyear BMX Racing League begins April 21st, so this is a perfect opportunity to learn about the sport in a Beginner-only atmosphere, and get started in an activity that promises fun, fitness and family time—at the BMX track. This Open House event is open to all ages, however, BMX Racing League is limited to boys & girls ages 4-15 and parents/guardians ages 21 & over. The program is designed specifically for beginner riders; a “beginner” is someone who has never held a USA BMX membership. All that is needed is the ability to ride a pedal bike without training wheels.